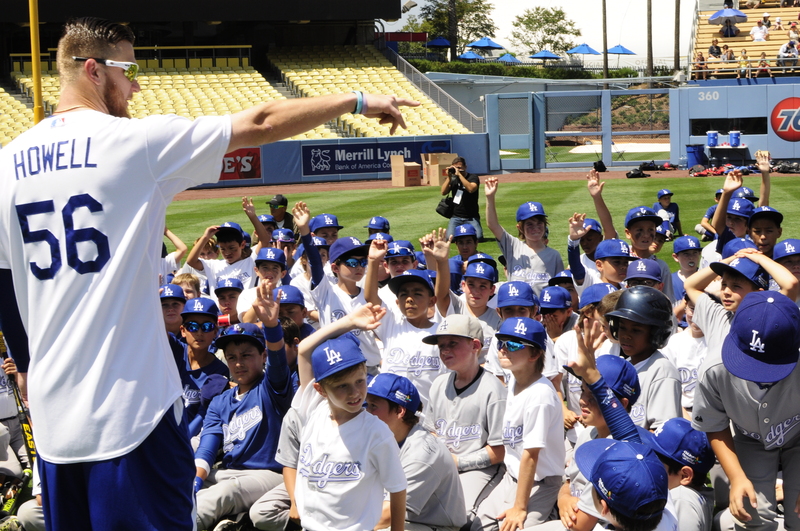 From Aug 9-14, 140 youngsters, ages 7-12 took part in the Dodgers Youth Baseball Camp where they learned from Dodger coaches, trainers and Dodger alumni. Campers learned and practiced the fundamentals of baseball in hitting, fielding, baserunning and pitching as well as team play, sportsmanship and conditioning. Each day at the end of camp they were visited by a current player for Q&A.